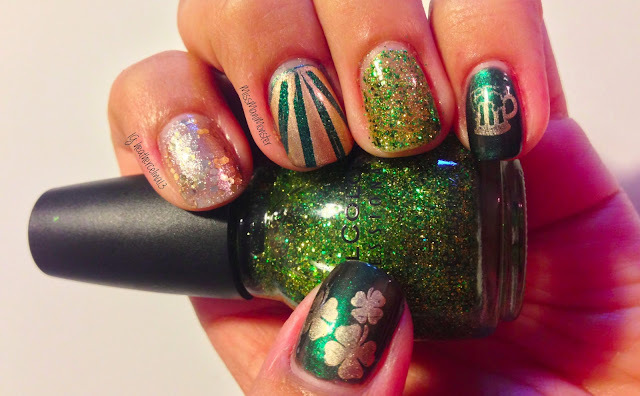 I probably only Irish in literally the tip of my pinky toe, but I had to do a mani for St. Patty's Day! 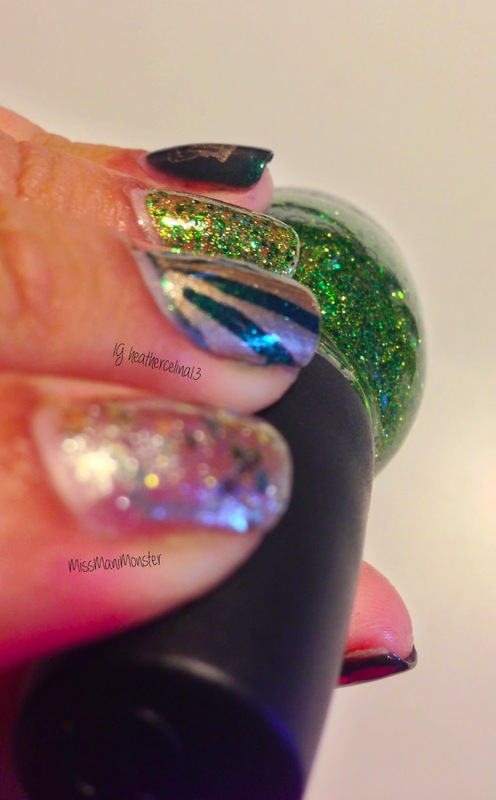 I did some skittles nails with Zoya Suvi on my thumb and pinky, each stamped with images from Winstonia W-105, Sinful Colors Call You Later on my ring finger, Zoya Logan with China Glaze Passion over it on my middle finger, and Julep Vivien on my index finger. I had a lot of fun doing this - it's a welcome break from good old Kaplan chemistry. 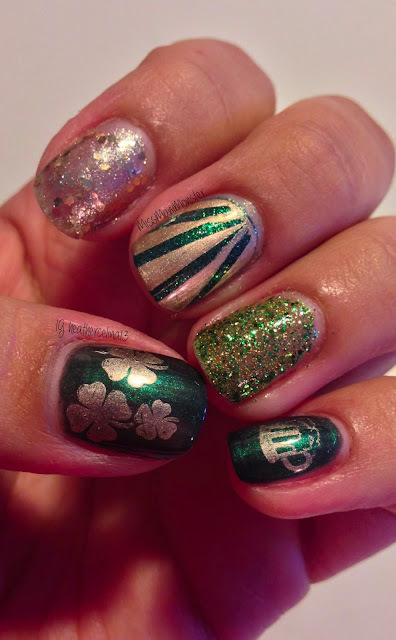 Please share your St. Patrick's Day nails in the comments; I'd love to see them. 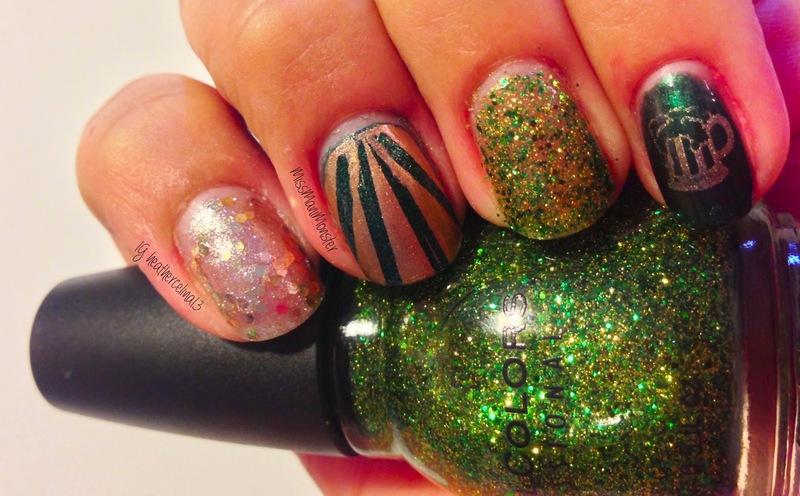 ALSO, please pay a visit to a brand new nail blogger a great friend of mine at her blog: Lacquer: The Best Medicine! She does awesome designs, so show her some love. it's easy peasy i know you could do it! I love the little beer mug ! Especially love the thumb and pinky.